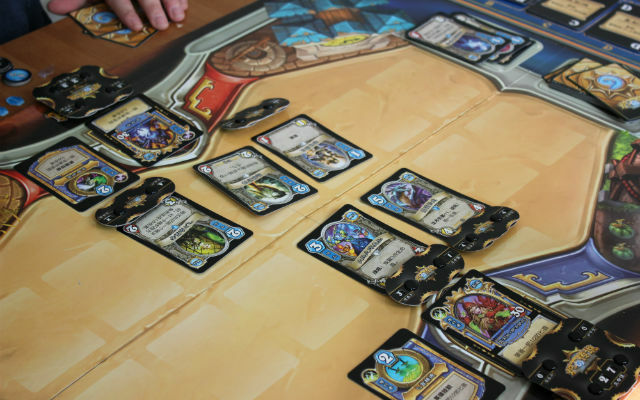 Turns out if Hearthstone was a physical card game, it would be pretty damn complicated to play. 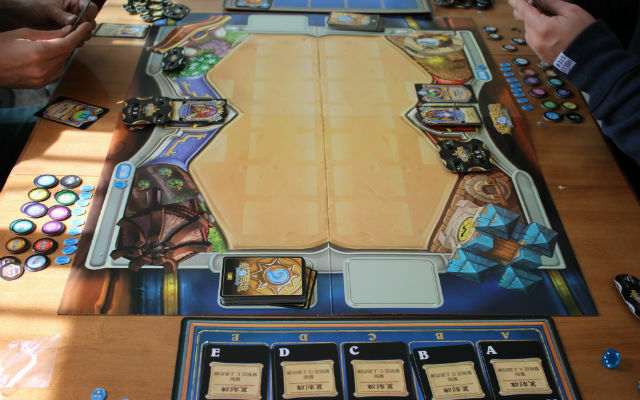 Hearthstone, as we all know, is Blizzard's super popular online-card game, which was sort of born from the ashes of its real-life physical card game. The online format has proven to be quite successful, allowing Blizzard to make on-the-fly balance changes, and add new cards and mechanics with ease. 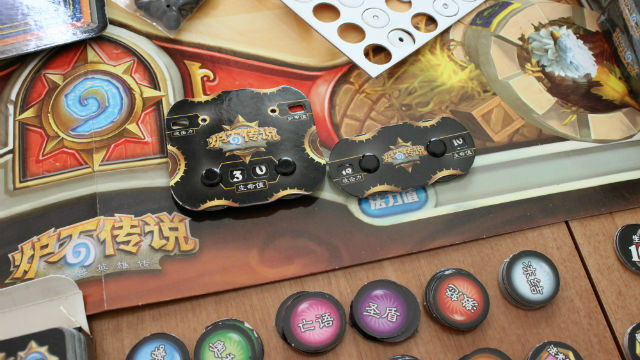 But, what if there was a physical, real-life version of Hearthstone? Well, thanks to Chinese bootleggers, now there is! While somewhat odd to see them as real, physical cards, these images should look pretty familiar to Hearthstone players. 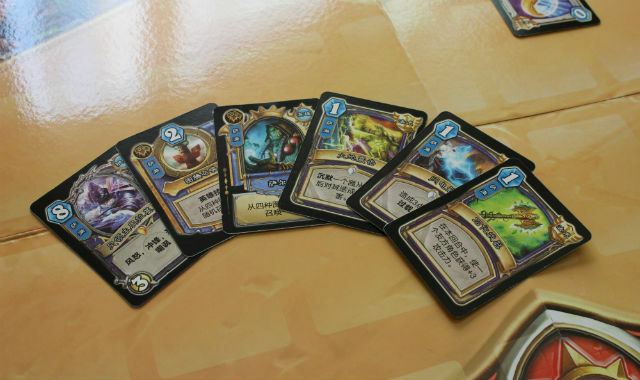 Included are two sets of every class' cards, four copies of every normal and legendary card, numerous tokens to place on your minions to show status effects like Taunt, Silence, and Deathrattle; health and attack wheels, enough for each player to have seven minions on the board at once; tokens to count bonus spell damage; and a mechanic for drawing random cards like you'd need to for the Priest's Mind Vision. Not included, were any of the cards from the Curse of Naxxramas expansion pack. Looking at that massive list of items required, you can see why Blizzard decided to keep this one digital, letting the computer handle all of those messy calculations. 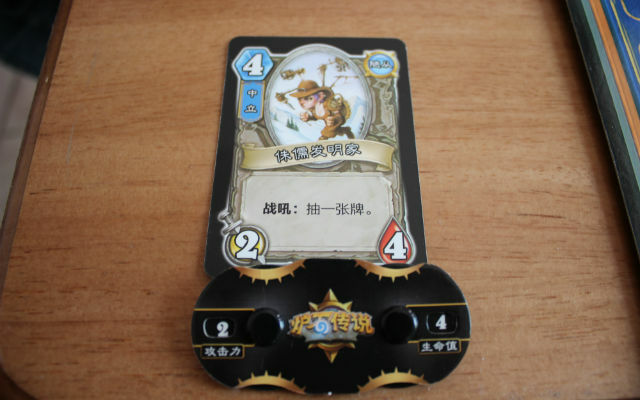 The Games in Asia reporter said that the physical version of the game went considerably slower than the online version, but it was still a fun novelty to be able to actually hold the cards in your hands. He said that organizing entirely physical Hearthstone tournaments would probably be a nightmare, but it may be fun to have the finals held in physical form - just for the novelty of it. As someone who has always been a fan of physical card games, this would be a super cool thing to have... even if the cards would probably be outdated by the time it was shipped to me. I really hope Blizzard makes something like this as a one-off special collectible at some point in the future.